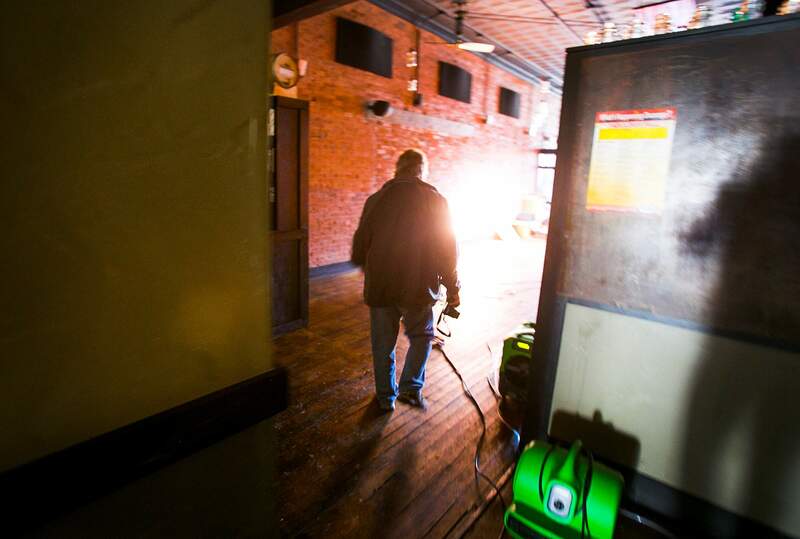 The dining area of El Moro Spirits & Tavern was largely undamaged in Wednesday’s fire, which started from a water heater in the back of the restaurant. The business will likely be closed for three months for repairs. 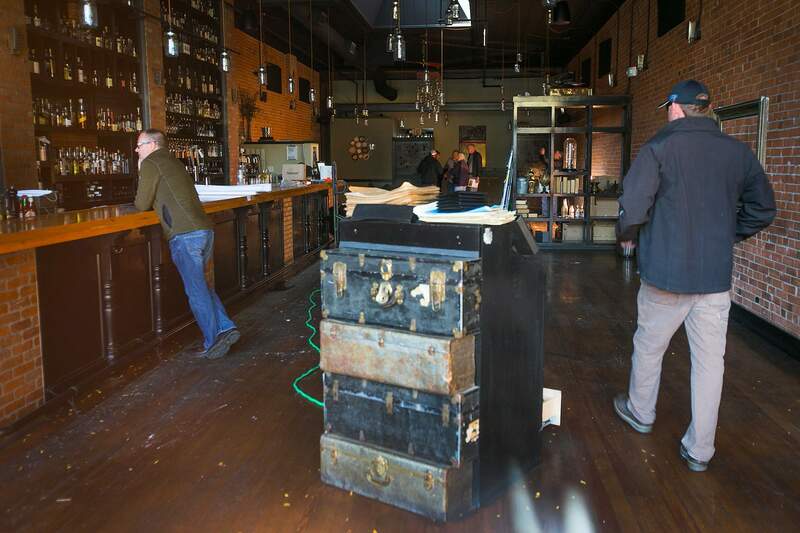 Insurance adjusters were taking pictures and assessing the damage Friday in El Moro Spirits & Tavern on Main Avenue. Fire investigators will peel away the layers of a hot water heater during the next month or so to better understand what caused an early morning fire Wednesday at El Moro Spirits & Tavern. The fire started at floor level behind the 100-gallon water heater that was pushed against a wall, said Karola Hanks, fire marshal with Durango Fire Protection District. For some reason, a flame from the gas-powered water heater breached the unit and impinged the drywall, she said. During the course of 24 hours, it burned up the wall, through a firebreak and into a void between the ceiling and the roof, Hanks said. The fire spread rapidly once in the attic. When temperatures reached 165 degrees, two sprinkler heads activated and unleashed a torrent of water that helped contain the blaze, she said. The water heater was fairly modern and designed to be placed against a wall, Hanks said. It is possible there was a problem inside the unit or with air circulation in the room, she said. Those issues will be examined through a forensic investigation, she said. Insurance representatives for El Moro, the building owner, adjacent businesses and the maker of the water heater will observe as the unit is dissected, she said. El Moro is expected to be closed for at least two months, but more likely three months, said Kris Oyler, chief executive of the parent company of El Moro and Steamworks Brewing Co. Most of the damage was in the back of the house, where the kitchen, bathrooms and storage rooms are located. Firefighters tore through parts of the ceiling and roof to access the attic and douse hot spots. On Friday, the lights were off, cold air came in through a back door and fire investigators walked around taking pictures. The dining room and bar at the front of the restaurant are largely unharmed, with the exception of some water damage to the floor, Oyler said. “It’s all in pretty good shape,” he said. A GoFundMe site has been set up to help El Moro’s 42 employees with lost wages until insurance payments kick in, Oyler said. The fund had collected $5,270 of its $80,000 goal as of Friday afternoon.